Stain from a vomit is probably one of the most annoying stains that you ever have to deal in your cleaning life. It is not only gross in general but it also leaves a terrible smell. Most of the time, they can be pretty manageable but also since it is a fool related stain, then the severity of the stain can depend on the content of the food. But just like any other other food stains, the sooner you get to it, the better it is going to be cleaned. At the same time, since we are talking about clothing and carpets here, the process can be similar but also different in some ways. 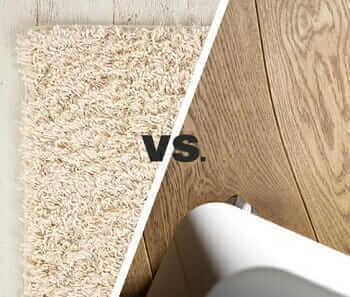 For the carpet, you can use a carpet shampooer and a harsher stain remover. On the other hand, you cannot do that with clothes because it will depend on the garment that you are working with. Also, it can be pretty tricky to deep clean clothing because there is a big chance that it will damage it. Just like what we mentioned earlier, the methods can change depending on the fabric of your clothes. So in general, we are going to talk about removing vomit stains from clothes are washable. Therefore, we are talking about cotton, polyester, acrylic fiber, linen, nylon, modacrylic, spandex, olefin, wool that is washable, etc. As far as garments that can only be dry cleaned, you can still use this method, but stick with the first step and take it to the dry cleaners as soon as possible. What you should first get into is the fact that you take as much vomit out as you can. The less vomit that you have the lesser stain you are left with. You can use a butter knife or a spoon to scoop it out. Make sure that you are not pressing against the fibers of the clothing so as not to press the moisture into the garment. This can also be done on old stains. One tip that you can do is to breathe through your mouth and not your nose so that you can use both of your hands. You should then rinse it in cold water. Make sure that you are also rinsing it from the other side so you are the pushing the stain off of the garment. This technique somehow forcefully pushes out the stain out of the front of your clothing. Next step is to soak the stain. You can soak it in cold water with a bleach that is color safe. Or if you want to, you can mix a quart of warm water with a tablespoon of ammonia and half a teaspoon of liquid detergent. Whip out an old toothbrush with soft bristles and work it on the stain. This technique is also called tamping. Make sure that you are blotting with a paper towel or a clean white cloth in between tamping. If you used ammonia, you should then rinse it out well. Also, make sure that you are not using hot water because this will set the stain on your garment. Just repeat tamping, blotting, and rinsing until the stain is completely removed. Once the stain is gone, you should do a final rinse and also treat the clothing. Apply a stain remover gel or stick on the affected area. Let it sit there for at least three to five minutes. Regularly wash it in warm water and with the liquid detergent of your choice. 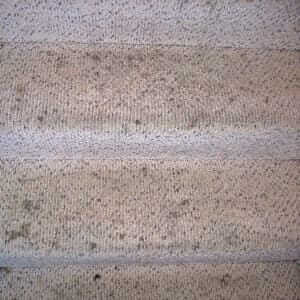 Let us now move on to a bigger area of cleaning which is your carpet. There are definitely a lot of different ways and even materials that you can use to go about this. But we are only going to give you a general cleaning method and this again has a lot to do with immediately cleaning out that fresh vomit stain. The general rule of thumb is to work from the outermost corner until you reach the center of the stain. This is the case so that it will not spread further. If you are looking other alternatives, check also our guide about the 4 Best Ways to Clean Vomit Out of Carpet. Take out as much vomit as you can. You can scoop it out with a spoon or use a rag. It is not time to apply a stain remover of your choice. Just keep in mind that you should not do this step on wool carpets. Do not press against the stain so that it will not go farther into the carpet. You should then mix a teaspoon of non-alkali detergent that is mild with half a pint of water. Sponge this directly on the stain but do not rub it in. You can also use a tablespoon of ammonia mixed with a cup of warm water. Do the same sponging method with the previous step. In between sponging the mixture to the stain, you should also blot with an absorbent pad. Just do gentle but firm strokes in order to lift out the stain. Once the stain is off, you can then blot the remaining moisture away. Remember to change out your pad when it is completely saturated. Place your final absorbent pad on the area that is damp and put a heavy item on top of it n order to remove the remaining moisture. Leave it there for at least 30 minutes. Once it is somehow dry to the touch, you can then set it out to air dry. Wash it normally based on the manufacturer’s instruction and let it dry. Here are other techniques and materials that you can use to effectively remove vomit stains from clothing and carpet. But again, use them with caution and always check how your clothing should be washed and take note of the things that you cannot put on them. You can also use baking soda if you do not have a stain remover. At the same time, you can also use sand. Cornstarch is also a good alternative for baking soda. If you have club soda with you, you can use that instead of water. The properties in club soda can help break down the acids that are present in the vomit. This will make it so much easier to lift the stain off. Simple water and vinegar solution can also be handy. 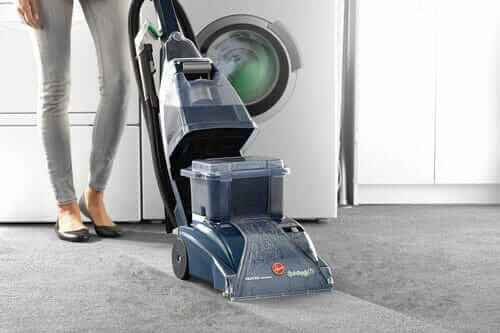 You can also replicate a carpet cleaner steam with the use of an iron. Just make sure that you put a cloth or paper in between the garment and the iron. As with any other stain, the rule of thumb is you should get it out as soon as possible. The same goes for stains from vomit. Now more than ever, you should be aware of the time constraint that you are in because vomit itself contains acids that can easily penetrate through the fabric. If you do not act quickly, it might seep through the tiniest of fibers and permanently set there. Further, as much as you want to do away with the stain, it is always safer to always check the cleaning instruction of both your clothing and carpet. In general, the steps that we gave you are full proof ways to remove a vomit stain, but again, a huge factor to consider is the fabric that you are working with. You do not want faded clothes, right?